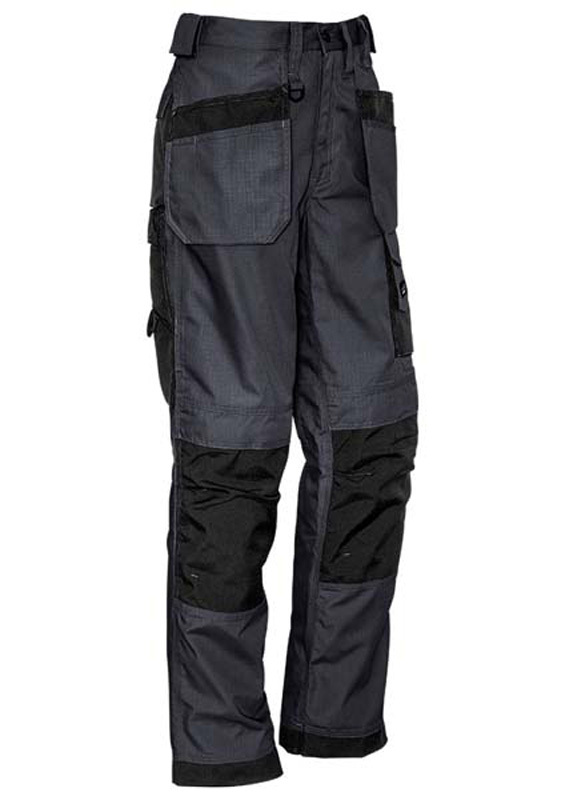 65% Polyester 35% Cotton Ripstop blend with Cordura(R) patches. 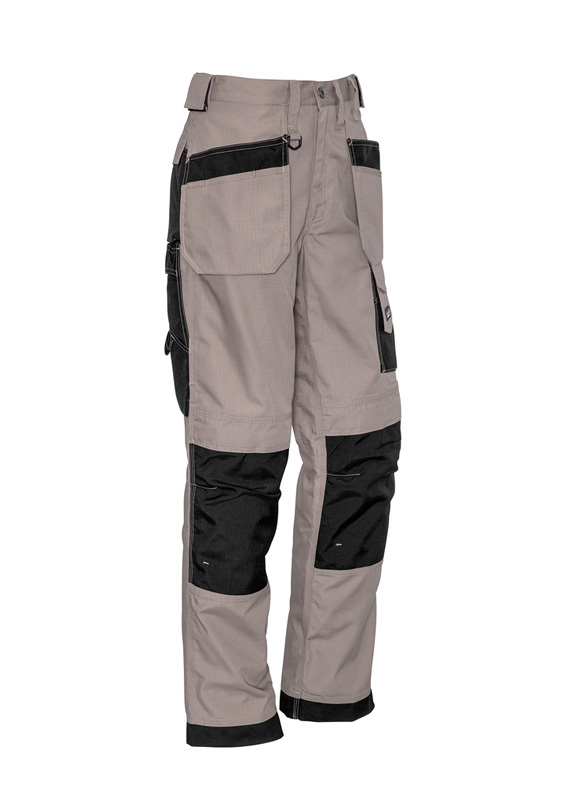 Features 2 swing away pockets that can be tucked away when not in use. 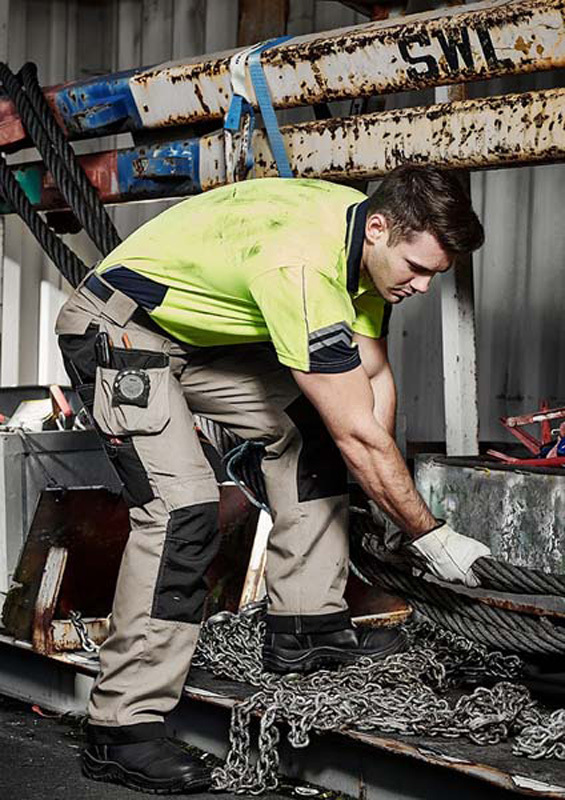 The swing away pockets act as built in tool belt and allow you to carry all your tools without the tools rubbing against your leg or restricting your movement. 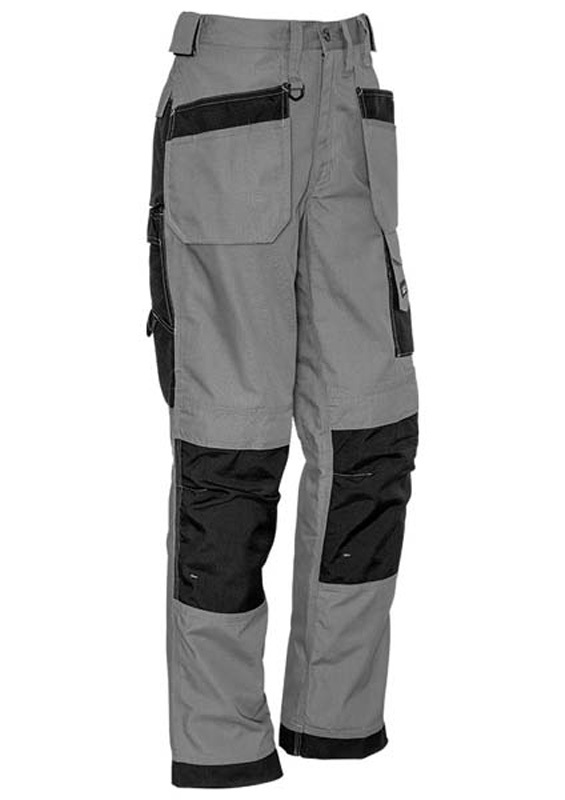 The swing away pockets also feature Cordura(R) reinforcements so all of your nails and other sharps never rip a hole in your pockets again. 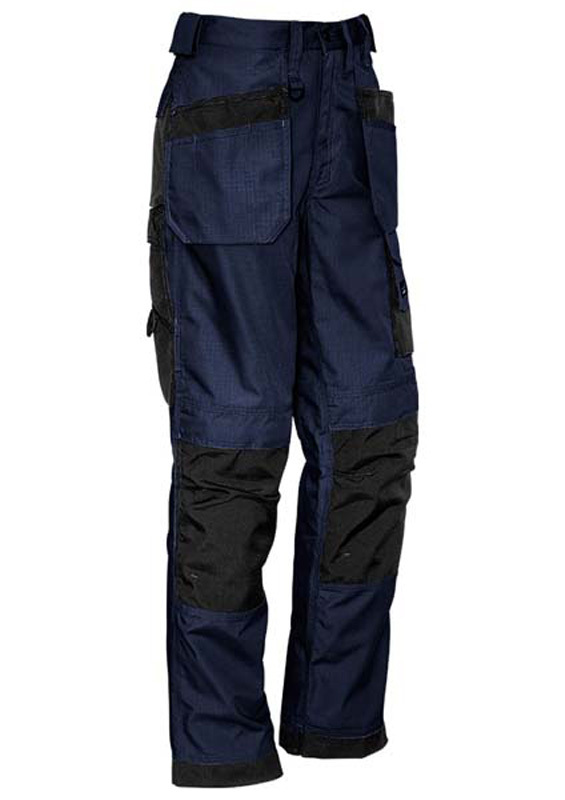 Strong light weight fabric due to superior rip stop construction.